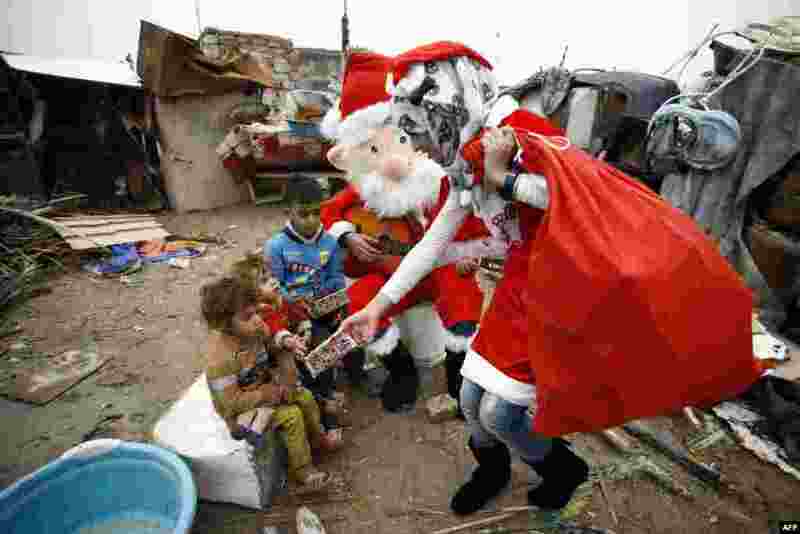 1 An Iraqi student dressed in a Santa Claus outfit distribute gifts to impoverished children outside their shanty home in the Shi'ite city of Najaf. 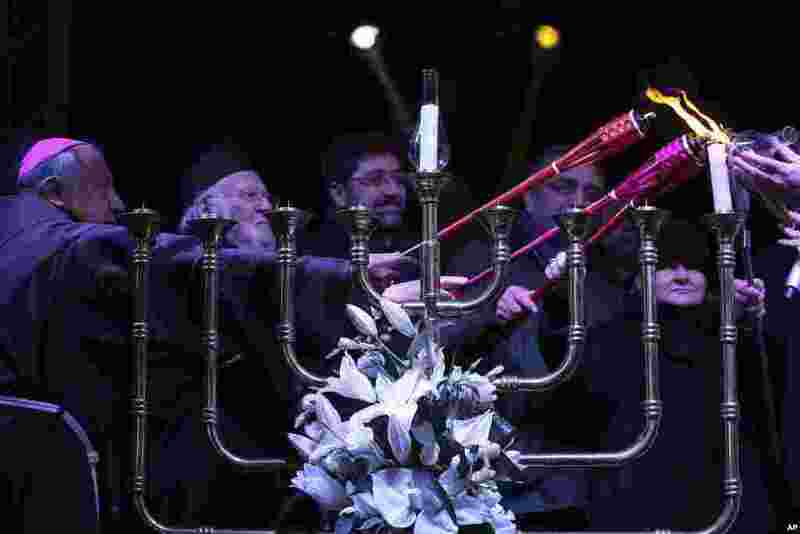 2 Representatives of different religions and officials light a candle of a Menorah during the Jewish festival of Hanukkah, in Istanbul, Turkey, Dec, 24, 2016. 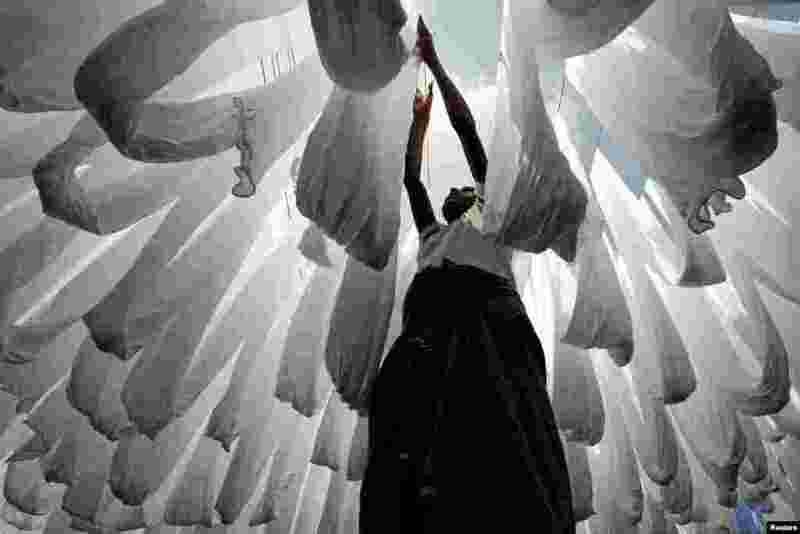 3 A dye factory worker dries fabric in Narayanganj near Dhaka, Bangladesh. 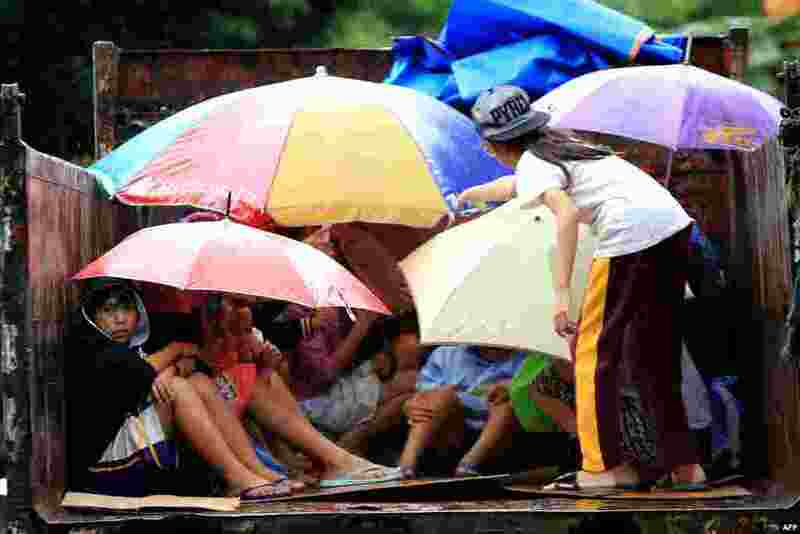 4 Residents sit in a truck after the local government implemented preemptive evacuations at Barangay Matnog, Daraga, Albay province, the Philippines, due to the approaching typhoon Nock-Ten.